Pneumatic conveyor high vacuum running with compressed air by means of a Venturi ejector. 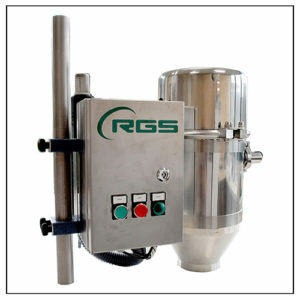 It is the ideal machine for transferring compounds of different powders together which have got different specific weight (different density): taking advantage of the high vacuum and of a very few air flow, they do not compromise the homogeneity of the compound. These units are suitable to be used in environments where electricity is absent or forbidden. All parts in contact with the product are realized in stainless steel AISI 316L, polished.